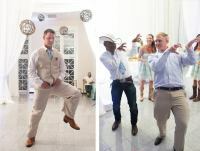 We are your wedding entertainment specialists and will use our talents to create a unique music arrangement for your personality. Ceremony, cocktail, dinner and dance we have you covered. We have your bilingual Master of Ceremonies and will make announcements and presentations with skill and ease and coordinate with others to make your event a success! 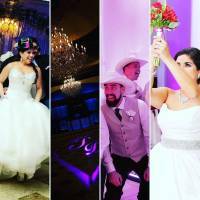 Call now to book your special day! 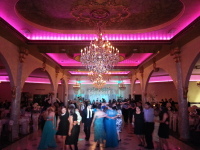 Our state-of-the-art-equipment makes for a clear crisp sound and it's well maintained for a professional appearance. We are equipmed for events both, large and small. 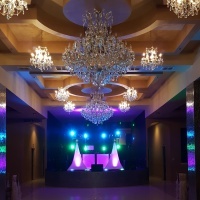 We offer professional DJ lighting and other special effects to step up your party!